If you follow me on instagram, you'll know that I just got back from a weekend trip to New York City. There's really nothing quite like New York. The avenues of skyscrapers, the hustle and bustle of people, and everything that makes New York the vibrant city that it is! It's incredible — whatever you want to do, the city has it. 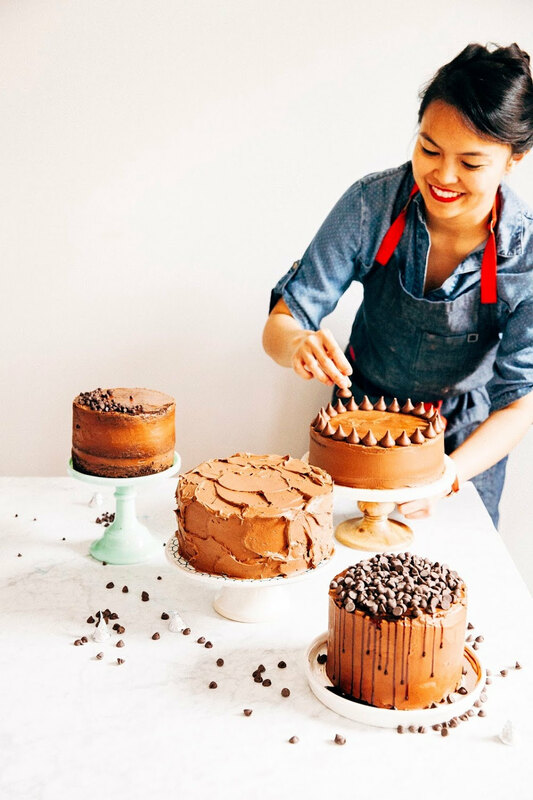 Want to spend your days hopping between Thomas Keller's Bouchon Bakery and Christina Tosi's Momofuku Milk Bar? Done. Conversely, want to spend your evening playing FIFA, watching three Xbox movies in a row, and having two different kinds of delivery sent to your door without ever picking up the phone? You got it. Not that I'm speaking from experience or anything. Sometimes I wonder what my life be like if I'd moved to New York City when I'd initially planned. Back when I graduated from college, my friend Leah and I had big plans to move to the city and live together as roommates. You know, the typical liberal arts college student's dream. It eventually didn't pan out, and I ended up getting my first job in San Francisco instead. While I don't regret any of my past experiences in San Francisco, Denver, and everywhere else I've lived, I do sometimes daydream about the life I would have in New York instead. What neighborhood would I have live in? Would I be avoiding Manhattan's expensive rent and hipstering it up in Brooklyn, hanging out in the trendy patio bars of Williamsburg? Or would I be shelling out a fortune for a tiny studio in the classic Manhattan neighborhoods I adored, like Nolita or the East Village? Would I be one of these waif-thin, fashionably dressed people I admired on the streets with the $300 shoes and obscure designer labels? Heck, would I even be working in the same industry and job that I'm working now? Or running this blog, even? 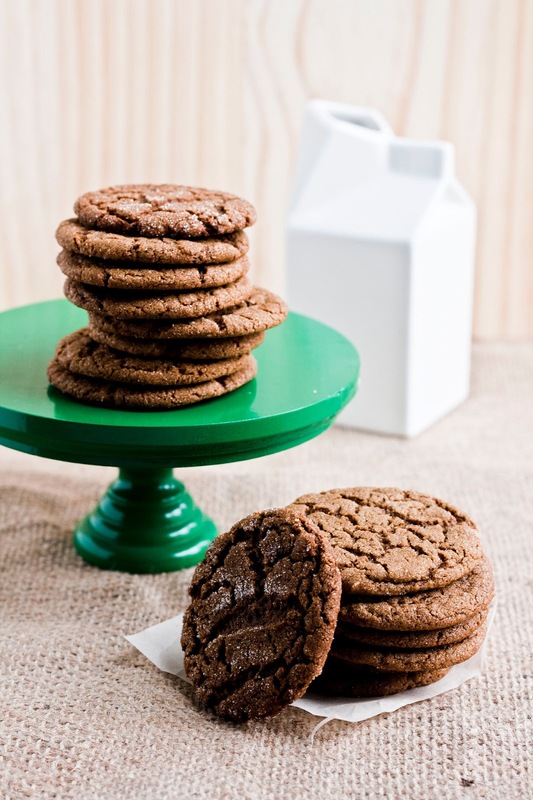 Julie had actually asked me to make ginger-molasses cookies back when we lived together over the summer, but I'd avoided making them, giving one paltry excuse after another. Truth be told, I always get this way when I get special requests from good friends — I'm not great with pressure! I didn't want to just whip up a mediocre recipe that wouldn't live up to her expectations; so although I shuffled my feet and hemmed and hawed around her, I actually started secretly testing ginger-molasses cookie recipes. What makes these ginger-molasses cookie recipe the best? First of all, as you can see in the picture above, they make beautiful cookies that crack perfectly as they cool. But what's more important is the way that they taste. With a generous portion of ginger, allspice, and cloves, these cookies definitely have a spicy KICK to them that's balanced out by the sweetness of the blackstrap molasses. 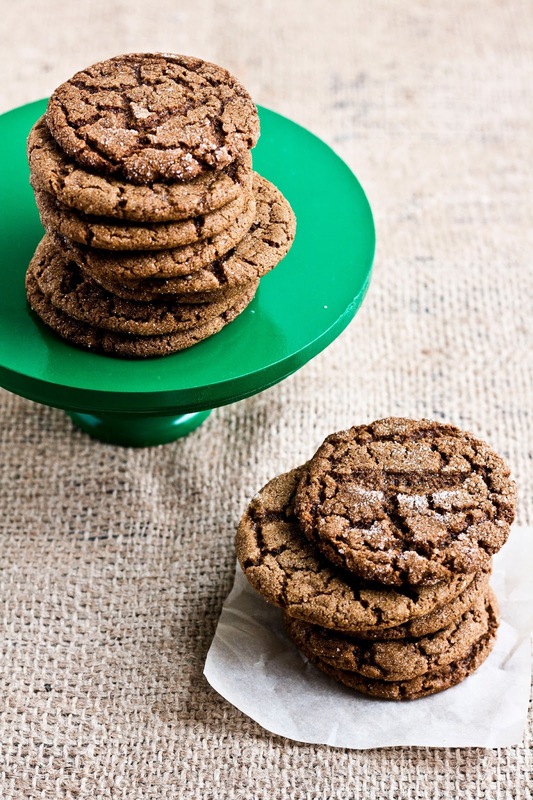 The molasses also lends the cookies a hearty, chewy texture that defines my perfect cookie. And as for my musings about my perfect life in New York, although it's fun to imagine how things could have been, at the end of the day I'm quite happy in Portland. Admittedly, Portland's never going to have the glamor, energy, hustle and bustle of New York. But that's why I love it. The cheap rent, the abundant amount of space filled with lush green trees, and the quaint little craftsman homes. How you can still get good, New York City quality food at cheap prices. Or ride your bike across major streets without fearing for you life and feeling like you're going to die. These are the things I love about Portland and that's why I gladly chose this city as my home. Once the molasses has been incorporated into the mixture, stop the mixer and use a rubber spatula to scrape down the sides of the bowl. 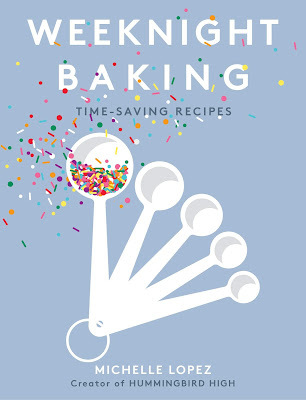 Sprinkle your dry ingredients (from the second step) over the liquid mixture in the electric mixer bowl and turn your mixer back on to its lowest speed, mixing the flour into the batter until just incorporated. Be careful not to overmix the dough at this point, or your cookies will be tough and I will cry for you! Use a 1-tablespoon sized cookie scoop to portion out the cookie dough into 12 round, even dough balls. Roll them in a small bowl of granulated sugar until covered completely, before arranging on a baking tray with 3.5 inches between each dough ball. Use the flat of your palm or a rubber spatula to gently squish the dough balls flat — this helps create perfectly round cookies. Bake the cookies for 13 - 15 minutes in the preheated oven, then allow to cool completely on the baking sheet set on a cooling rack. 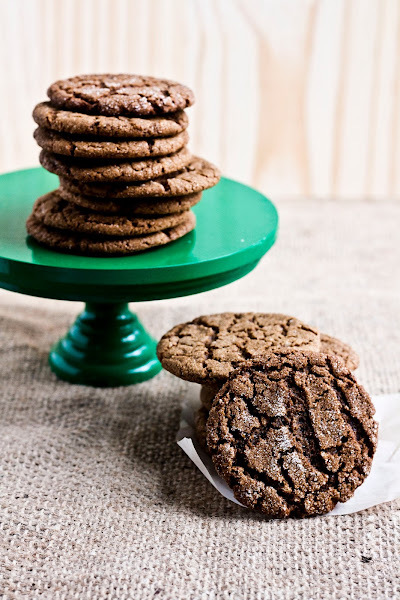 The cookies will crack as they cool; for more dramatic cracks, allow the dough to come to room temperature before baking, but that's not necessary. 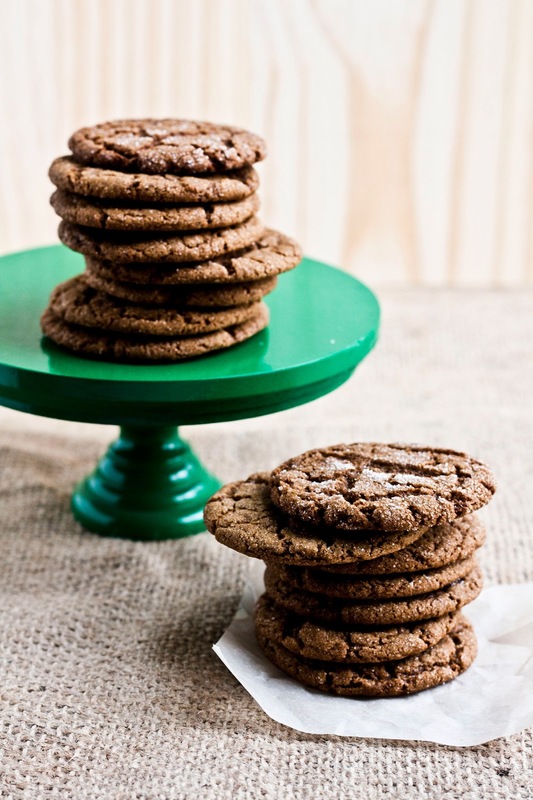 These cookies are best enjoyed fresh out the oven, or reheated in the microwave for 5 - 10 seconds. So are these crunchy? Or chewy? :) They look delicious! These cookies are crunchy around the edges, but chewy on the insides. Sorry, I should've added that in the post! Thanks for asking! These look delicious. I like how there so big and they look nice and chewy. I love your cake stand, the colour is great. 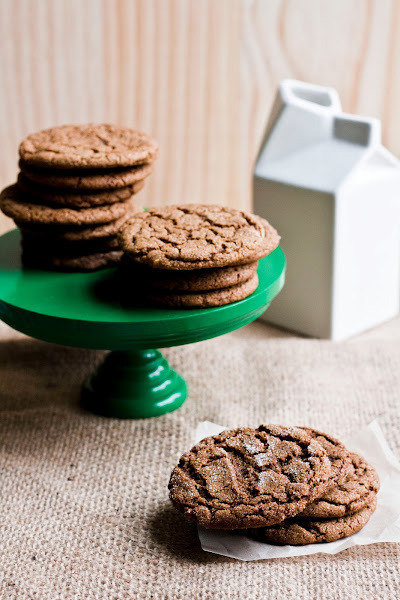 Currently enjoying these cookies hot out of the oven with a cold glass of milk....perfect! Thank you for cookie recipe I'll be using all season! *I didn't have any ground cloves on hand, so I used cardamom and LOVED!